Experience the War of the Thorns: Chapter 2 — Now Live! Despite all efforts to stop the Horde’s forward momentum, the wisp wall called forth by Malfurion Stormrage is failing. Ahead lies the route through Darkshore and the port at Lor’danel. And beyond? The home of the night elves—Teldrassil—stands vulnerable. Thousands of lives are in the balance as the battle presses on. Limited Time — Complete the War of the Thorns and Earn a Special Mount! At the completion of this chapter, players will receive a special mount to commemorate their participation in this prelude to the coming war. Alliance characters will receive the Smoldering Reins of the Teldrassil Hippogryph and Horde characters will receive War-Torn Reins of the Undercity Plaguebat. If you earned one of these faction-specific special mounts on a Horde or Alliance character, both mounts will be added to your collection upon completion of the event. Once the event ends with the launch of the expansion, so will the opportunity to collect these mounts, so don’t delay! New World Quests are available in Darkshore and reward great new items perfect for gearing up your newly leveled character or your alts. 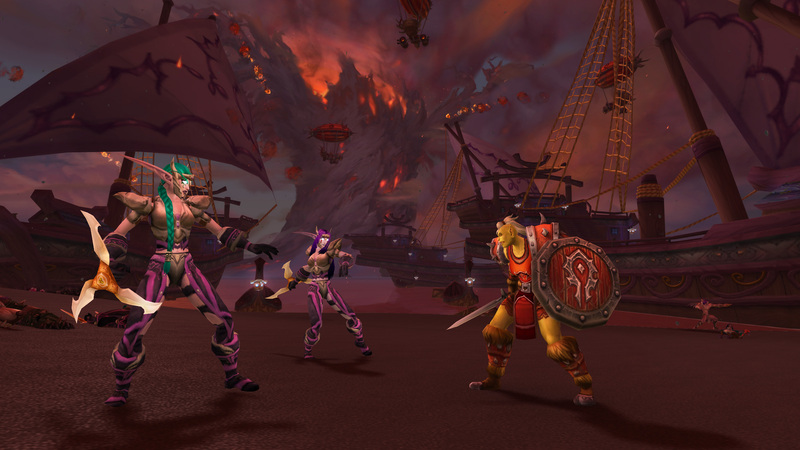 This chapter is a part of a limited-time event leading up to the launch of Battle for Azeroth. There are two sides to every story. Get a taste for the tension and drama that unfolds in our preview of the Battle for Azeroth novellas: Elegy by Christie Golden and A Good War by Robert Brooks, available in the Collector’s Edition of World of Warcraft: Battle for Azeroth.